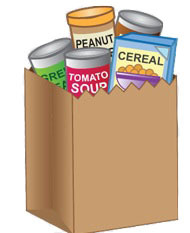 Oak Park Temple is supporting the OPRF Food Pantry Home Delivery Program on May 7 & 8. We need your help! For Home Delivery, the shopper volunteers shop and bag groceries for senior clients who are homebound. Then, the delivery drivers/assistants drive and deliver the groceries to the clients' homes.